Henry Lee was born in 1691. He was the son of Richard Henry Lee Jr. and Laetita Corbin. Henry Lee married Mary Bland. Henry Lee died in 1747. Benjamin was an American planter and revolutionary leader from Charles City County, Virginia. He was educated at the College of William and Mary and was, perhaps, the first figure in the Harrison family to gain national attention. Harrison was a representative for Surry County, Virginia (1756-1758) and Charles City County (1766-1776) to the House of Burgesses. He was a Virginia delegate to the Continental Congress from 1774 to 1777, signed the Declaration of Independence, and was Governor of Virginia from 1781 to 1784. He again ran for the state legislature but was defeated by John Tyler, Sr., father of future president, John Tyler. He was elected from a neighboring district, however, and served until his death. He was son of Benjamin Harrison IV and Anne Carter, and grandson of Robert Carter I, who was an ancestor of Robert E. Lee; his cousin was the plantation owner Robert Carter. Benjamin Harrison V, was married to his second cousin Elizabeth Bassett. Their son William Henry Harrison and great-grandson Benjamin Harrison would both become President of the United States. His grandson was Congressman John Scott Harrison. His great-great-grandson was Congressman William H. Harrison (Wyoming Congressman) (1896-1990). Besides William, their youngest child, they had six other children; Elizabeth, Anna, Benjamin VI, Lucy, Carter, and Sarah. His brother-in-law was Speaker of the House of Burgesses, Peyton Randolph, who was first cousin once removed of Thomas Jefferson. His Brother-in-law Burwell Bassett was married to the sister of Martha Washington. Harrison lived all his life at Berkeley Plantation, the Harrison family home in Virginia, and his children were born there. [S25] Hannah McPherson, Holcombe Genealogy, page 227.2. Harrison was an American military leader and politician, the ninth President of the United States, and the first president to die in office. The oldest president elected until Ronald Reagan in 1980, and last President to be born before American Independence, Harrison died on his 32nd day in office—the shortest tenure in United States presidential history. His death sparked a brief constitutional crisis, but ultimately resolved many questions about presidential succession left unanswered by the Constitution until passage of the 25th Amendment. Before election as president, Harrison served as the first territorial congressional delegate from the Northwest Territory, governor of the Indiana Territory and later as a U.S. representative and senator from Ohio. He originally gained national fame for leading U.S. forces against American Indians at the Battle of Tippecanoe in 1811, where he earned the nickname "Tippecanoe" (or "Old Tippecanoe"). As a general in the subsequent War of 1812, his most notable contribution was a victory at the Battle of the Thames in 1813, which brought an end to hostilities in his region. 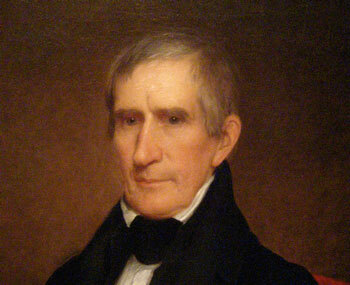 After the war, Harrison moved to Ohio, where he was elected to United States Congress, and in 1824 he moved to the Senate. There he served a truncated term before being appointed as Minister Plenipotentiary to Colombia in May 1828. In Colombia, he lectured Simon Bolívar on the finer points of democracy before returning to his farm in Ohio, where he lived in relative retirement until he was nominated for the presidency in 1836. Defeated, he retired again to his farm before being elected president in 1840. Harrison was a member of the United States House of Representatives from Ohio and the only man to be both the son and the father of U.S. Presidents. Born in Vincennes, Indiana, the son of future President William Henry Harrison and Anna Tuthill Symmes and the grandson of Declaration of Independence signer Benjamin Harrison V, Harrison completed preparatory studies and studied medicine. He later abandon this to become a farmer. 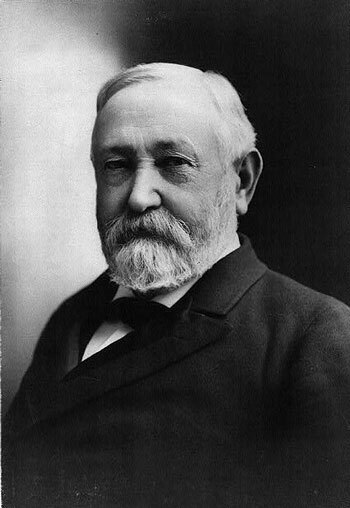 After the death of his father, his mother moved in with him and helped him with raising his children including his second son, future President Benjamin Harrison. He was elected a Whig to the U.S. House of Representatives in 1852, reelected an Oppositionist in 1854 and served from 1853 to 1857. After being defeated for a third term in 1856, Harrison retired to his estate "Point Farm" in North Bend, Ohio where he died on May 25, 1878. He was interred in the William Henry Harrison Tomb State Memorial in North Bend with his parents and other family members. Not long after his death, Harrison's body was stolen from his grave. One of his sons and some friends discovered his naked body hanging from a tree by a rope. His body was later returned to his grave. Venia Idella Hardaway was born on 11 September 1884 at Braxton Co., WV.1 She married Daniel Webster Holcombe, son of William Hugh Holcombe and Mary Ann Chapman, on 7 September 1900 at Braxton Co., WV.1 Venia Idella Hardaway died on 28 March 1943 at Gip, Braxton Co., WV, at age 58. Harrison was the 23rd President of the United States, serving one term from 1889 to 1893. Harrison was born in North Bend, Ohio, and at age 21 moved to Indianapolis, Indiana, where he became a prominent state politician. During the American Civil War Harrison served as a Brigadier General in the XXI Corps of the Army of the Cumberland. After the war he unsuccessfully ran for the governorship of Indiana, but was later elected to the U.S. Senate from that state. Harrison, a Republican, was elected to the presidency in 1888, defeating the Democratic incumbent, Grover Cleveland. He was the first and only president from the state of Indiana. His presidential administration is best known for its economic legislation, including the McKinley Tariff and the Sherman Antitrust Act, and for annual federal spending that reached one billion dollars for the first time. Democrats attacked the "Billion Dollar Congress", and used the issue, along with the growing unpopularity of the high tariff, to defeat the Republicans, both in the 1890 mid-term elections and in Harrison's bid for reelection in 1892. [S679] William H. Gaines Jr., Thomas Mann Randolph, page 3. [S679] William H. Gaines Jr., Thomas Mann Randolph, page 6. John, colonial lawyer and legislator, was born at the "Turkey Island" plantation of his father in Henrico County, Virginia, the son of William Randolph, an attorney, and Mary Isham. Randolph grew up in one of the most prestigious families of colonial Virginia. From an early age he showed a marked aptitude for his studies. After first being tutored by a French Huguenot clergyman, he proceeded to the College of William and Mary. He went to London and was admitted to Gray's Inn on 17 May 1715. Again he excelled in his studies and was admitted to the bar in London on 25 November 1717. Randolph was most likely the first colonial American to have achieved this status. Randolph returned to Virginia and was named clerk of the House of Burgesses on 28 April 1718. This post soon brought him into contact with all of the leading men of Virginia. He thrived in this position and developed a lucrative private practice of law in conjunction with his public duties. By 1721 he had married Susanna Beverley. The couple had two sons and two daughters. Both sons, Peyton Randolph and John Randolph, followed their father into distinguished public service to Virginia. Randolph sailed to England in 1728 with a mission with three purposes in mind. First, on behalf of the College of William and Mary, he was to seek a more rigorous collection of the penny-per-pound export on tobacco from Virginia. Second, he was to request of the archbishop of Canterbury the use of part of the Boyle fund for the education of Indians in Virginia. 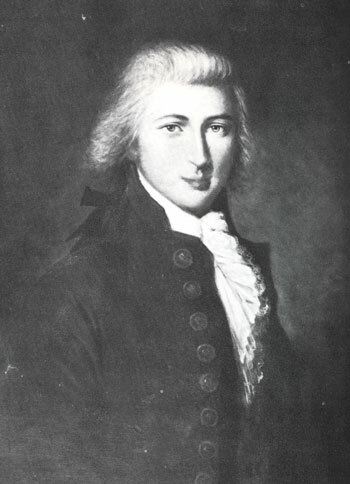 Third, he had been instructed by the Virginia assembly to ask King George I to repeal the act that prohibited the shipment of stripped tobacco. Little is known of how Randolph communicated these requests in England. However, the act of Parliament regarding the stripped tobacco was repealed, and upon his return to the colony Randolph was voted 1,000 sterling by the Virginia assembly as a reward for his endeavors. On 8 March 1731 Randolph was again appointed an agent of the colony. In this capacity he went to England to ask for a new way in which to collect the excise tax on tobacco. Although Randolph was not successful in this mission, his efforts on behalf of the colony and his general demeanor apparently impressed King George II to the point that the monarch knighted Randolph, probably in 1732. Sir John Randolph was the only colonial Virginian to receive the honor of knighthood. Randolph returned to Virginia and continued in his post of clerk until he resigned on 22 April 1734. He was soon chosen by the faculty of the College of William and Mary as its representative in the Virginia assembly. Edwin Conway nominated Randolph for Speaker of the House of Burgesses on 5 August 1736, and he was elected by an overwhelming majority. He was reelected in 1736 and continued in that post until his death. He was also named recorder of the house in 1736. Randolph's health failed suddenly, and he died in Williamsburg. Randolph was the single most distinguished Virginian of his time. Coming from a family that had assumed political leadership in the new colony and that would provide two to three generations of future leaders, he played an important role in the development of Virginia as part of the transatlantic community in the eighteenth century. As a lawyer and legislator he flourished in his home colony, while as a diplomat he was recognized in England as the true spokesperson for Virginia's interests. His career anticipated that of the colonial agents who were essential to negotiations between the American colonies and Great Britain after 1750. Vernie A. Holcombe was also known as Verna A. Holcombe. Vernie A. Holcombe was also known as Verny A. Holcombe. She was born on 3 August 1903 at WV.1 She was the daughter of Daniel Webster Holcombe and Venia Idella Hardaway.1 Vernie A. Holcombe died on 25 July 1921 at WV at age 17. Unnamed Jefferson died in 1777; stilborn. He was born in 1777. He was the son of President Thomas Jefferson and Martha Wayles. Lydia Alice Holcombe was also known as Alice Lydia Holcombe. She was born on 9 January 1910 at WV.1 She was the daughter of Daniel Webster Holcombe and Venia Idella Hardaway.1 Lydia Alice Holcombe married James Curtis Marks on 1 June 1930 at Gip, Braxton Co., WV. Lydia Alice Holcombe died on 27 April 1932 at age 22. Peyton Randolph was born on 10 September 1721 at VA. He was the son of Sir John Randolph and Susannah Beverley. Peyton Randolph married Lucy Harrison, daughter of Benjamin Harrison V and Elizabeth Bassett, say 1775; no issue. Peyton Randolph died on 22 October 1775 at age 54. Randolph was a planter and public official from the Colony of Virginia. He served as speaker of the Virginia House of Burgesses, chairman of the Virginia Conventions, and President of the Continental Congress. Randolph was born in Virginia. His parents were Sir John Randolph and Susannah Beverley. He was also the grandson of William Randolph. He attended the College of William and Mary, and later studied law at Middle Temple at the Inns of Court in London, becoming a member of the bar in 1743. He then returned to Williamsburg and was appointed Attorney General of the Colony of Virginia the next year. Randolph served several terms in the Virginia House of Burgesses, beginning in 1748. It was his dual roles as attorney general and as burgess that would lead to an extraordinary conflict of interest in 1751. The new governor, Robert Dinwiddie, had imposed a fee for the certification of land patents, which the House of Burgesses strongly objected to. The House selected Peyton Randolph to represent their cause to Crown authorities in London. In his role as attorney general, though, he was responsible for defending actions taken by the governor. Randolph left for London, over the objections of Governor Dinwiddie, and was replaced for a short time as attorney general. He was reinstated on his return at the behest of officials in London, who also recommended the Governor drop the new fee. In 1765 Randolph found himself at odds with a freshman burgess, Patrick Henry, over the matter of a response to the Stamp Act. The House appointed Randolph to draft objections to the act, but his more conservative plan was trumped when Henry obtained passage of five of his seven Virginia Stamp Act Resolutions. This was accomplished at a meeting of the House in which most of the members were absent, and over which Randolph was presiding in the absence of the Speaker. Randolph resigned as attorney general in 1766. As friction between Britain and the colonies progressed, he became more in favor of independence. In 1769 the House of Burgesses was dissolved by the Governor in response to its actions against the Townshend Acts. Randolph had been Speaker at the time. Afterwards, he chaired meetings of a group of former House members at a Williamsburg tavern, which worked toward responses to the unwelcome tax measures imposed by the British government. Randolph was elected as presiding officer in both the First and Second Continental Congresses, in large part due to his reputation for leadership while in the House of Burgesses. He did not, however, live to see American independence; Randolph died in Philadelphia, and was buried at Christ Church. He was later re-interred at the College of William and Mary chapel. Randolph County, North Carolina, formed in 1779, and two United States Navy ships called USS Randolph were named in his honor. Randolph's house survives and is a U.S. National Historic Landmark. Known as Peyton Randolph House, it is shown to the public as part of the Colonial Williamsburg complex. Gladia L. Holcombe was born circa 1911.1 She was the daughter of Daniel Webster Holcombe and Venia Idella Hardaway.1 Gladia L. Holcombe died on 18 February 1964. Maj. Gen. Henry Lee III was also known as Light-Horse Harry Lee. 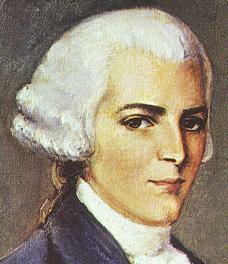 He was born on 29 January 1756. He was the son of Maj. Gen Henry Lee II and Lucy Grymes. Maj. Gen. Henry Lee III married Matilda Lee, daughter of Philip Ludwell Lee and Elizabeth Steptoe.1 Maj. Gen. Henry Lee III married Anne Hill Carter, daughter of Charles Carter and Ann Butler Moore, on 13 June 1793. Maj. Gen. Henry Lee III died on 24 March 1818 at age 62. Henry Lee, cavalry officer in the American Revolution popularly known as "Light-Horse Harry" Lee, was born at Leesylvania, Prince William County, Virginia, the son of Henry Lee, a planter, and Lucy Grymes. As the eldest son in an important family, he realized early in life that he was expected to take a leading role in the affairs of his colony. He prepared by studying for three years at the College of New Jersey (now Princeton University), where he enjoyed debate and the Latin classics and graduated at the age of seventeen in 1773. He intended to study law in London, but growing American animosity toward British colonial policies in the 1770s diverted his attention. When the American Revolution began, he declared for America, as did all the Lees of Virginia, and he determined upon a soldier's life. Twice, in 1775 and 1776, he solicited the aid of a neighbor, George Washington, to secure a position as General Charles Lee's aide-de-camp but without success. Finally, on 13 June 1776, upon the nomination of Patrick Henry, he was appointed captain of a company of cavalry in Colonel Theodorick Bland's recently organized regiment. Summoned by General Washington later that year to join the Continental army, Bland and Lee's cavalrymen reached army headquarters at Morristown, New Jersey, in February 1777 and were reorganized as the First Continental Light Dragoon Regiment. Immediately Lee's company was detached by the commander in chief to forage, picket, and scout, duties that Lee performed so well that he continued them for a year. In March 1778 he was offered by Washington a position as aide-de-camp, but he declined because he preferred to stay with the cavalry. 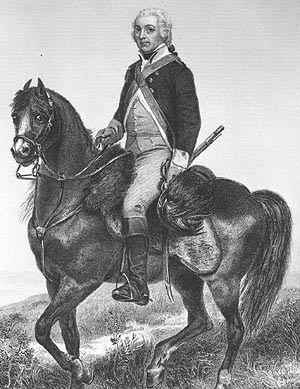 He was promoted to major by Congress on 7 April 1778 and given command of an independent partisan corps consisting of two troops of horse, augmented on 13 July 1779 by a third troop and a small body of infantry. As commander of this corps, which came to be known as "Lee's Legion," Lee acquired the sobriquet Light-Horse Harry. On 19 August, with great skill and bravery, he attacked a British garrison at Paulus Hook, New Jersey, catching it completely off guard and capturing 158 prisoners at a loss of only five of his own men. For this brilliant operation, he was presented a gold medal by Congress. In February 1780 Lee was ordered to South Carolina to assist Continental forces in attempting to defend Charleston. Before he could depart, the city surrendered, and he remained with Washington throughout the summer. In October he was again ordered south, to join General Nathanael Greene, who was replacing Horatio Gates as commander in that theater. Promoted to lieutenant colonel on 6 November 1780, he rode southward and in January 1781 joined Greene in South Carolina. After conducting an unsuccessful raid on Georgetown, South Carolina, he was with Greene in February during his famous retreat across North Carolina to Virginia, covering the rear of the American army and engaging in spirited skirmishing with Banastre Tarleton's "Tory Legion." On 25 February Lee attacked a body of 300 Loyalist militiamen under Colonel John Pyle, killing one hundred and wounding most of the others, after riding alongside them under the pretense that he was leading a troop of British dragoons. Five days later, at Clapp's Mill, he laid an ambush for Tarleton, killing twenty enemy troopers before withdrawing. He was posted on the left flank of Greene's army at Guilford Court House, 15 March 1781, where he proved himself more than a match for Tarleton's dragoons but could not prevent an American defeat. Following Lee's advice after the battle, Greene adopted the unusual strategy of bypassing British commander Charles, Lord Cornwallis, and marching into South Carolina to attack British posts there. While Greene maneuvered against Lieutenant Colonel Francis, Lord Rawdon's army, Lee was detached to capture enemy positions at Forts Watson, Motte, and Granby and the town of Augusta, Georgia. Successful in all these operations, he rejoined Greene in June at the siege of Ninety-Six. On 8 September, at Eutaw Springs, he likely saved Greene from defeat, and in the pursuit of the enemy that followed he captured large numbers of soldiers. While visiting Washington's camp at Yorktown, Virginia, he observed the surrender of Cornwallis on 19 October 1781, then left the army for a well-deserved furlough home. Throughout the campaign of 1781, Lee had shown himself a remarkably competent strategist and battlefield leader. Greene recognized his merits, declaring that he was the one soldier most responsible for the successful outcome of the fighting. Lee, however, believed that his contributions had not been adequately recognized and in February 1782 bitterly resigned his commission. A month later he married his second cousin, Matilda Lee, heiress of Stratford Hall. They had four children. Lee entered politics in 1785, when he was elected to the Virginia House of Delegates. That same year he also was chosen to represent Virginia in the Continental Congress, where he served three years. In 1788, as a member of the Virginia convention that ratified the federal Constitution, he earnestly argued for the document and won distinction for his eloquence. Thereafter an ardent Federalist, he was a member of the Virginia legislature, 1789-1791, and governor of the state, 1791-1794. As governor, he was dismayed by Virginians' opposition to the policies of the Washington administration, and for a time he seemed to agree with his constituents. But in the end he supported the president, fearing that partisan bickering was about to result in civil war. Through all these years, Lee's heart was with the military, particularly after his wife's death in 1790. In 1792 he was seriously considered by President Washington to command an army against Northwest Indians but lost the appointment to Anthony Wayne, because the president feared that more senior officers would refuse to serve under him. Feeling "cheated," Lee almost joined the French revolutionary army in 1793 but was talked out of his scheme by Washington. Instead, in 1793 he married Anne Hill Carter; they had five children, the youngest of whom was Robert E. Lee. In 1794, while Lee was still governor, the Whiskey Rebellion broke out in western Pennsylvania, and in August President Washington offered him command of a militia army to suppress the insurrection. He accepted, leading 15,000 men against the insurgents, who were so overawed that they capitulated in November without bloodshed. In 1798, when war between America and France seemed imminent, Lee was appointed a major general of the U.S. Army, but he never saw active service. A year later he was elected to the House of Representatives as a Federalist. When Washington died in 1799, Lee was assigned the task of drafting a congressional resolution of respect for the president. In it he first inscribed his now-famous description of Washington as "first in war, first in peace and first in the hearts of his countrymen." Later chosen to deliver a memorial oration in Philadelphia commemorating Washington's services, he repeated the statement on 26 December 1799. At the end of his congressional term, in 1801, he retired from public life. Living with his family at Stratford Hall over the next few years, he proved to be an inept plantation manager and was harassed by creditors. He subsisted on a meager income that came nowhere near covering expenses and was constantly humiliated by his inability to maintain his family. In 1808 Lee was temporarily relieved of these oppressions of spirit by President Thomas Jefferson, who, because of deteriorating relations with Great Britain, mobilized the states' militias, reactivating Lee's army commission as major general. Despite his health, which was poor, and his finances, which were worse, Lee donned his uniform and spent a year organizing the Virginia militia for a war that did not come. Finally bankrupted in 1809, he was sent to debtor's prison, where he languished for a year and almost died of mortification. Desperately seeking diversion, he wrote his Memoirs of the War in the Southern Department of the United States, which he published in 1812. Upon his release from prison, he moved his family from Stratford Hall to a small house in Alexandria. He importuned President James Madison to reactivate his commission as a major general upon the outbreak of the War of 1812 but without success. On 27 July 1812 he happened to be in Baltimore when a riot broke out against an antiwar Federalist newspaper, the Federal Republican, and its editor, Alexander C. Hanson. Attempting to defend his friend Hanson and his property, Lee was arrested and put in jail. That night he was attacked in his cell by a mob and severely beaten. His health broken, he moved to the West Indies in 1813 but never fully recovered. Trying to return home to Virginia, he died at "Dungeness," on Cumberland Island, Georgia, the home of descendants of Nathanael Greene, his old comrade, and was buried there. In 1913 he was reinterred in the Lee Chapel at Washington and Lee University. Lucy Gae Holcombe was born on 8 October 1914 at Little Buffalo, WV.1 She was the daughter of Daniel Webster Holcombe and Venia Idella Hardaway.1 Lucy Gae Holcombe died on 9 July 2008 at New London, Stanley Co., NC, at age 93. John Bolling Jr. was the son of Major John Fairfax Bolling and Mary Kennon. John Bolling Jr. married Elizabeth Blair. Thomas Rolfe was the son of John Rolfe and Pocahontas. Cora Ann Clark Camp was born on 23 August 1888 at Clay, Clay Co., WV.1 She married Sherman Monroe Holcombe, son of William Hugh Holcombe and Mary Ann Chapman, on 25 December 1905 at Clay Co., WV.1 Cora Ann Clark Camp died on 27 February 1974 at Fairmont, Marion Co., WV, at age 85. [S182] Social Security Death Index (on-line), Ancestry.com, SSDI, Ancestry.com, SSAN 236-62-0616. Mary Frances Bailey married Charles Ray Holcombe, son of Daniel Webster Holcombe and Venia Idella Hardaway. [S182] Social Security Death Index (on-line), Ancestry.com, SSDI, Ancestry.com, SSAN 194-30-1588. [S182] Social Security Death Index (on-line), Ancestry.com, SSDI, Ancestry.com, SSAN 229-76-8014. Randolph Jefferson was born on 1 October 1755. He was the son of Peter Jefferson and Jane Randolph. Randolph Jefferson died on 7 August 1815 at age 59. Randolph Jefferson (October 1, 1755 – August 7, 1815) was the younger brother of Thomas Jefferson. He was Thomas' only brother to survive infancy, and was twins with Anna Scott, Thomas' youngest sister. Randolph was 12 years younger than Thomas and lived at Monticello for many years. He married his first cousin Anne Jefferson Lewis in 1781 and was widowed some time between 1792 and 1807. Randolph attended The College of William and Mary, as did his older brother, but Dumas Malone writes in his book Jefferson and His Time: The Sage of Monticello that Randolph did not share his older brother's eloquence. Letters to Thomas show a disregard of grammar and the use of colloquialisms such as "tech" instead of "touch." A former Monticello slave, Isaac Jefferson, recalled in 1847 that Randolph Jefferson "used to come out among black people, play the fiddle and dance half the night." Since Isaac Jefferson left Monticello in 1797, his reference probably predates that year, and most likely refers to the 1780s, the period that is the subject of the majority of his recollections. Thomas was considerate and affectionate toward Randolph, they addressed each other as "Dear Brother," and exchanged visits and services with each other. Thomas lent Randolph the harness for a gig, had his watch repaired, gave him a dog, sent him vegetable seeds, and gave him a spinning jenny. Captain Jefferson, as Randolph was called, inherited the plantation Snowden, about twenty miles south of Monticello, in Buckingham County, across from Scott's Ferry, and lived simply as a country squire. Snowden later burned to the ground, two days after Randolph's second wife and widow moved out. In May 1808, when Randolph was a widower with five sons and a daughter, Jefferson wrote him a will. Later in 1808, or possibly 1809, Randolph married Mitchie B. Pryor of Buckingham. In the following years, Randolph complained that his wife was running up bills at Scott's Ferry, and in the spring of 1815 told Thomas that he had sold some of his best lands to pay his debts. He was in ill health that summer, and Thomas found out that his younger brother had signed a new will, to the wife's advantage. The new will was challenged by Randolph's five sons from his first marriage, who were supported by a lengthy deposition from their uncle, but they failed. Randolph Jefferson's sons were Isham Randolph Jefferson (1781-1852); Thomas Jefferson, Jr. (1783-1876) resident at Monticello for extended periods of schooling in 1799 and 1800, and possibly 1801; Field Jefferson (c1785?-1808+); Robert Lewis Jefferson (c1787?-1808+); and James Lilburne Jefferson (c1789?-1816+). After a DNA study in 1999 showed a family link between patrilineal descendants of one of Sally Hemings's sons and the Jefferson family, a committee commissioned by the Thomas Jefferson Heritage Society suggested that Randolph rather than Thomas was the father of her children. Only four recorded visits to Monticello (in September 1802, September 1805, May 1808, and sometime in 1814) are known, none related to Sally Hemings's conceptions. In August 1807, a probable conception time for Eston Hemings, Thomas Jefferson wrote his brother that "we shall be happy to see you also" at Monticello. A search of visitors' accounts, memorandum books, and Jefferson's published and unpublished correspondence provided no indication that Randolph did, in fact, come at this time. A similar search was made of the probable conception time for Madison Hemings, without finding reference to a Randolph Jefferson visit. Burwell Bassett was born on 18 March 1764 at Williamsburg, VA. He was the son of Burwell Bassett and Anna Maria Dandridge. Burwell Bassett died on 26 February 1841 at New Kent Co., VA, at age 76. He was buried at Eltham Plantation, New Kent Co., VA.
John Dandridge was born in 1700. He married Frances Jones. John Dandridge died in 1756. "Jno" and Jane were enumerated in the 1850 Western District, Nicholas Co., VA, federal census. He was a farmer, age 30, she was 26. Children in the household were Loma 9, Martha 7, Rosanna 5, Sarah 4, Caroline 3, and Zachariah 1. Father Ethan was next door. John and Jane were enumerated in the 1870 Pleasant, Clay Co., WV, federal census. He was a farmer age 52, she was 50. Children in the household were Rosanah 27, Susan 17, Margaret 10, Abby 7, John M. 19, James A. 15, William S. 4, and John 2. Also in the household was Stephen Boggs 60, a farm laborer. Zach 21, and Eunice 23 were nearby. John was enumerated in the 1900 Pleasant, Clay Co., WV, federal census. He was a farmer, age 82, widowed. Also in the household were Rosanna 56, grandson Charles 19, grandson John Steward 19, grandson Thomas Steward 13, and grandson Andrew J. Steward 7. Deloris Jean Holcombe was the daughter of Charles Ray Holcombe and Mary Frances Bailey. Ethan and Louisa were enumerated in the 1880 Pleasant, Clay Co., WV. federal census. He was a farmer age 44, she was 42. Children in the household, all born in VA, were Julia A. 21, Ezekiel 19, Peggy 16. James and Nancy were enumerated in the 1860 Clay Co., VA, federal census. He was a farmer, age 39, she was 30. Children in the household were John 14, Timothy 12, Nancy 11, Ethan 9, William 7, Susan 5, Louisa 3, and Mary 7 months. James was enumerated in the 1870 Buffalo, Clay Co., WV, federal census in a household apparently headed by son John. James was 52. Also in the household were Ethan A. 18, W. H. 17, Anna L. 13, Mary J. 11, and 2 Dunford children. Even though Nancy is apparently deceased by this time McPherson lists children Louisa M., Roxilina and George prior to subsequent marriages by James. Anne Cary Randolph was born on 23 January 1791.1 She was the daughter of Thomas Mann Randolph Jr. and Martha Jefferson.1 Anne Cary Randolph married Charles Lewis Bankhead in September 1808. Patsy was tall and slender, with reddish hair and blue eyes -- somewhat of a feminine counterpart of her father in physique and coloring. Tom was what today would be called an underachiever, experiencing frustration and failure in nearly everything he attempted. For all of his talents and abilities, he acheived little or nothing of significance as a politician, as a soldier, or as a planter. Even his perfection of horizontal plowing, important as that innovation was to his own section of Piedmont Virginia, was not a contribution of major importance. 2 Despite the facts that he served in the Virginia State Senate, the US Congress, the Twentieth Infantry in the War of 1812, the Virginia House of Delegates and as Governor of Virginia, he always lived in the shadow of his father-in-law. [S679] William H. Gaines Jr., Thomas Mann Randolph, page 186. Ezekiel served as a union soldier at about the age of 55 years. When returning home on a furlough in 1863, accompanied by his son, Ethan Allen II, his nephew, Tyrance Rodgers, and Guy Keith, also Union soldiers were attacked by six Confederates near Cauley Bridge, Fayette Co., WV or Bell's Creek, Nicholas Co. VA, who shot Ethan Allen II, leaving him for dead and took others prisoner. Ezekiel died in Confederate Prison, which according to one report was Libby prison, Richmond, VA, another Belle Isle in NC. Ezekiel and Rachael "Holcom" were enumerated in the 1850 Nicholas Co. VA federal census. He was a farmer, age 38, she was 40. Children in the household were Ethan 15, Rachael 13, Susan 11, James 9, Jane 7, Pascal 5, and Rily 3. Ezekiel and Rachel were enumerated in the 1860 Clay Co., VA, federal census. He was a farmer, age 48, she was 51. Children in the household were Rachel 23, Susanna 21, James 19 Jane 17, Paschal 15, Rily 12, Tyrance 9, and Benjm. F. Ramsy 1. Enumerated nearby was son Ethan and his family. Rachel was enumerated in the 1870 Big Sycamore, Pleasant, Clay Co., WV, federal census with Rachel 32, and Tyrance 18. Adjacent were Pascal and his family and Riley and his family.